Losing It is a Vir Das Journey of Africa , India and America and religions. He touches many topics with audience laughing throughout. 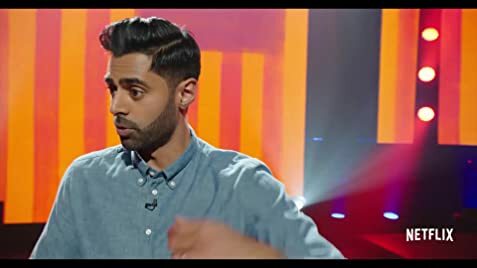 Hasan Minhaj: Every generation is defined by a great struggle or tragedy. And it's wild that our kids will never know there was a period of time, in this country, where you had to make a choice between being online or being on the phone. Minhaj's recent turn at the Correspondent's Dinner made me check out this special, although I was wondering if he would simply be taking political shots, which at the moment is very much like shooting fish in a barrel. Before seeing him in this special I had quite liked him as a correspondent on The Daily Show, even if he didn't manage to break out of the shadow of some better than him – plus if memory serves me, he came in at the end of Stewart's time, which was not long before I stopped being a regular viewer. All that said, I was surprised by how much and how consistently I enjoyed this special. 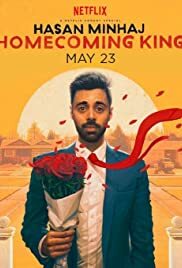 Delivered in his hometown, Minhaj has constructed a personal show that moves through a lot of ground, that serves as somewhat of an emotional roller-coaster, puts a lot of issues on the table, but remains consistently accessible and funny for those such as myself who do not have this frame of reference. Minhaj's timing and polish is of a very high standard, and he makes the show feel really professional and slick, but still keeps that sense of it being an honest performance with freshness and emotion. And it is a 'performance' more than a normal stand-up show. He moves around the stage well, and items such as screens and lighting are well timed around his performance. In the context of a filmed special, I also enjoyed the camera-work, as it knew how to move around him, when to go close etc – it was very well filmed and edited. Main thing though is that it engages and is funny throughout. Very much one worth seeing.